Debenhams is a British department store, dating back more than 200 years. It sells clothing, footwear, accessories, beauty products, gifts, toys, homewares, furniture, technology, and appliances. Customers can also shop and order for delivery or store collection using the Debenhams website. The methods for returning a product to Debenhams depend on the type of item and how you purchased it. This guide tells you everything you need to know about this. 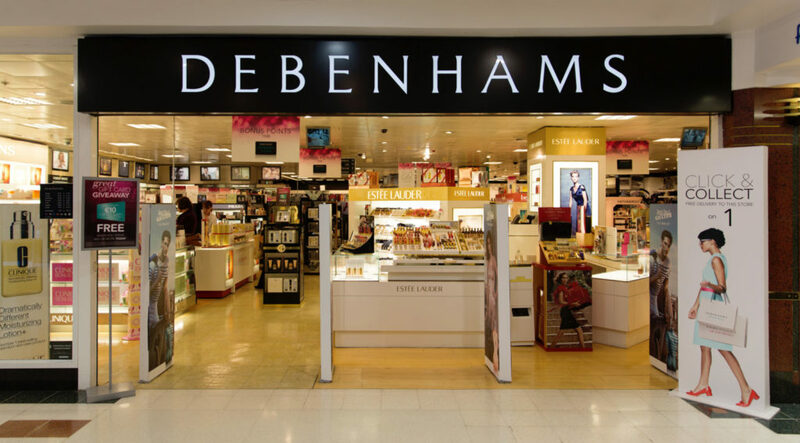 Debenhams also will not accept multi-retailer branded products (such as cosmetics) unless you can prove that they are Debenhams stock. They will only issue exchanges or gift cards for these returns, but no refunds. You will also not be able to return a gift card for a refund if you change your mind. You will have to redeem it by spending it. To return an order or purchase to Debenhams, you will need to present proof of purchase with it. This could be a store receipt, an e-receipt, a delivery note, or an order confirmation e-mail. You can present any of these when you return an item instore in accordance with the returns policy. If you are returning an online order in the mail, then you can print off a new returns form or a copy of your order confirmation to replace a missing delivery note. If you have lost all proof of purchase, then your only option is to take the product to a store for an exchange. This will be at the current or latest value of the product. All exchanges will be at the store’s discretion and subject to stock availability. If you buy something in a Debenhams store, then you can only return it to a store and by no other method. It is also possible to return online orders in a Debenhams store if it is more convenient. You must take the item and proof of purchase to the customer services desk in a Debenhams store. This is the fastest way to get a refund. It will be via your original payment method, whether this was cash or card. If you don’t have the original payment card, then they will offer an exchange or issue the refund onto a Debenhams gift card instead. Exchanges are only possible when you return the original item instore. If you exchange for an item of lesser value then they will refund the difference. You cannot return larger items such as furniture or luggage to a store. Contact Debenhams to arrange a collection. Returning items to a store is free, but unless you use the Hermes service, then returning online orders by post will be at your own expense. Enclose a completed returns form with the item and repackage it carefully. Then you can take it to the Post Office or return it using the postal service of your choice. You will be responsible for the postage costs, which will vary depending on the size of the parcel and the service that you choose. In the case of large and bulkier items, contact Debenhams first to discuss arranging a courier collection. If this is necessary, then you will also have to pay for this service yourself. Exchanges will not be available when you send online returns in the post. The only way to avoid paying for postage if you mail an online return to Debenhams is by using Hermes. Follow this link and select whether you want Hermes to collect the package from you or if you would rather take it to a Hermes ParcelShop location yourself. When you confirm your preference, they will send you an e-mail with the returns label. You need access to a printer to print this off and attach it to the parcel. If you want to arrange an exchange, contact Debenhams to see if this is possible before agreeing to a Hermes collection or drop-off. This excludes large items. If an item arrives with damage, or develops a fault within 28 days, then you should contact Debenhams. They will provide an authorization code for you to use in order to return the faulty product. In the case of faulty items, they will refund the original delivery fee up to the cost of standard delivery. If you pay to return a faulty product by post, then keep the postage receipt and ask Debenhams to reimburse you for the cost. It is their decision whether they agree to do this or not. When you contact them to report a faulty item, you can ask for a replacement if you prefer. The fastest way to get a refund is to return an item instore. When they process the refund to a debit or credit card, it can take 3-5 working days to come through. However, when you return an item by post, the postage and processing time is added on. It can take up to 10 working days for Debenhams to receive the parcel at their warehouse. When it does arrive, they should issue a refund within 24 hours and send you an e-mail to confirm this. You should receive the refund 3-5 working days after that. You can’t track the stages of the return, but when you get the confirmation e-mail you can check the estimated refund date. Contact Debenhams if you do not receive an e-mail or a refund by 15 working days from the date that you sent the return. Remember that the refund will go back to the original payment method. If this was a gift card that you no longer have, then contact Debenhams to ensure that you get your refund.